About 30 members of Florida Solar United Neighborhoods attended a press conference at South Miami City Hall. With the addition of those two in Miami-Dade County, there are now 12 co-ops throughout the state. 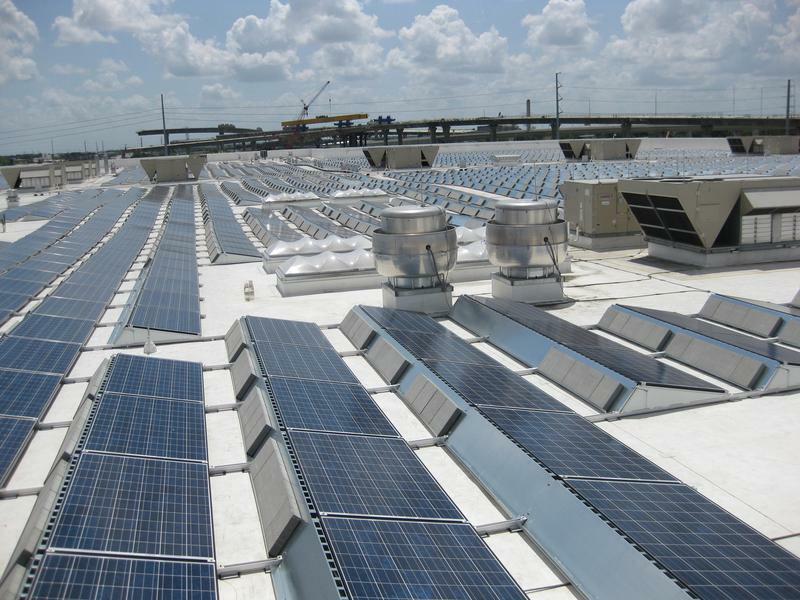 The co-ops are organized through Florida Solar United Neighborhoods, or FLSUN. Jody Finver is FLSUN's Miami-Dade co-op coordinator. She says co-ops vary in size but generally include more than 100 single-family households. She said some join because of environmental concerns, but many do it because it makes economic sense. "Anybody can be a solar user," Finver says. "Why spend money on a utility bill when the sunshine can create the electricity for you?" 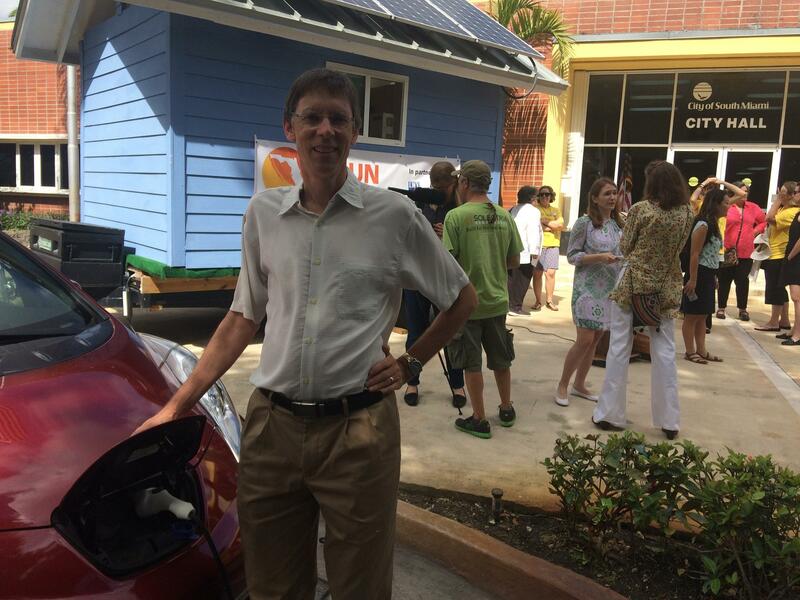 South Miami Mayor Philip Stoddard drove to the launch event in his electric car. For South Miami Mayor Philip Stoddard, it's an issue of environmental stewardship. The mayor's house is solar-powered, and he drives a used electric car. "The existential threat to South Florida is sea-level rise," he says. 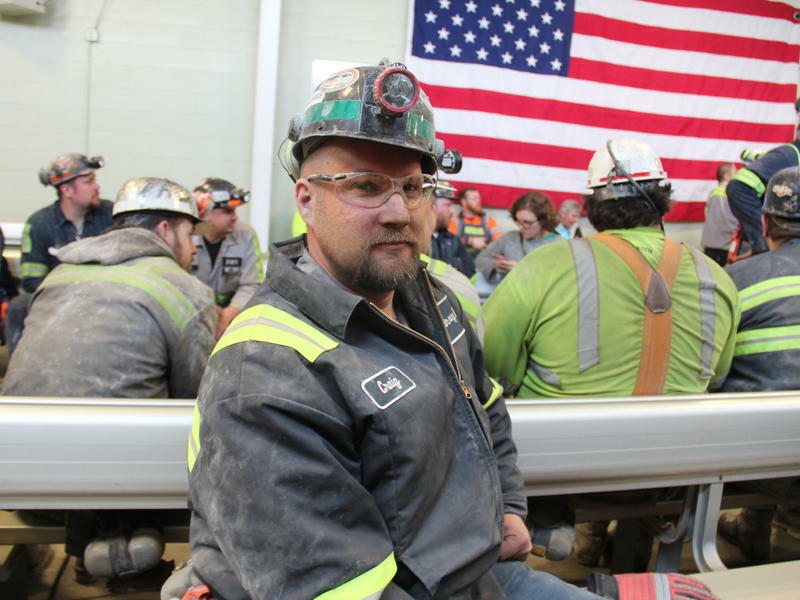 "The best thing we can be doing is replacing fossil fuels with renewable energy." 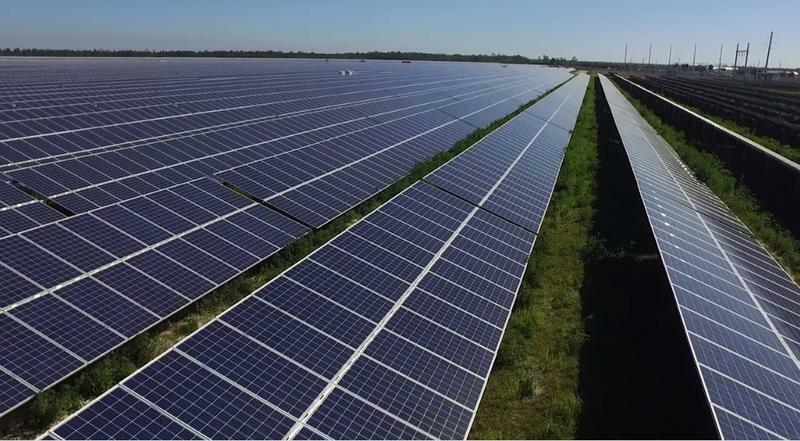 The city of South Miami has waived solar permitting fees and expedites solar permits for residents. Finver says she intends to launch a total of six solar co-ops throughout the county. Those interested in joining the first one, which will serve Key Biscayne, Coral Gables, West Miami and the City of Miami, are invited to an informational meeting at 7 p.m. May 31st at City of Miami City Hall. An earlier version of this story gave the wrong date for the first informational meeting. Driving around Molly Curry’s condominium complex in Ft. Lauderdale, it’s obvious she is proud of her neighborhood. She lives in the Bay Colony Club Condominiums, in a condo she owns since 2000, when she moved in with her two school-aged daughters. They are adults now and no longer live with Molly, but she’s stuck around and hopes to start a new career from her home.